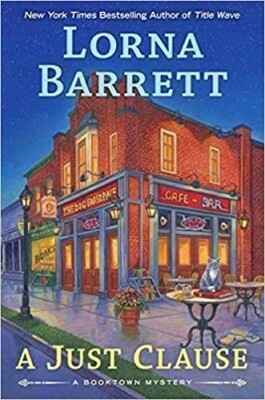 This week we are playing catch up with some fun mysteries, perfect for your summer reading-A Just Clause: A Booktown Mystery by Lorna Barrett, Trumpet of Death: Martha’s Vineyard Mystery by Cynthia Riggs, Antiques Frame: A Trash ’n’ Treasures Mystery by Barbara Allan, & Dead and Berried: Cranberry Cove series by Peg Cochran. Details at the end of this post on how to enter to win a copy of all 4 books, along with links you can use to purchase them. A booksigning at Haven’t Got a Clue mystery bookstore has its owner Tricia Miles reuniting with two men readers last met during the Celtic Lady mystery cruise. While sparks flew between Tricia and bestselling thriller writer Steven Richardson, a freeze blew in as she was reunited with her estranged father. John Miles may have followed Tricia and her sister Angelica back to Stoneham, New Hampshire, in the hopes of mending their relationships, but he soon fled yet again, leaving with a suitcase full of purloined items and numerous debts. Neither Tricia nor Angelica are thrilled that John has returned, completely unapologetic and with expectations that he would be welcomed to stay. Despite their apparent differences, both Steven and John are on the receiving ends of slaps by Carol Talbot, an attractive but hard-ridden woman who heckles Steven during his booksigning. Despite having left Tricia’s mother, John’s irresponsible dalliance with Carol only seems to have stirred her ire and rage. When Tricia’s ubiquitous habit of finding corpses has her discovering that of Carol’s, the police naturally focus on Tricia’s larcenous father. That Tricia recently broke up with Stoneham’s Chief of Police certainly doesn’t help, and her journalist ex-boyfriend seems to have been so cowed by new fatherhood that he declines to conduct any investigation at all. So it’s up to Tricia to clear her father; first, she just needs to track him down and prevent him from skipping out on any additional debts. It is a testament to the author’s skill at creating realistic characters that the actions of Tricia’s parents are so painful to read. In this eleventh installment, readers are shown just how much of a struggle Tricia has had overcoming her childhood. While the previous installment showed the psychological abuse inflicted by Tricia’s mother, here we see Tricia’s nearly as abusive ineffectual father. The con man without a conscience proves to be just as harmful and inconsiderate as Tricia’s mother, perhaps more so as it affects Tricia’s relationships with her friends. Having been burned far too often in romance, Tricia is reluctant to dip her toe into a new relationship, and seeing her take a little tasty revenge when being stood up is a satisfying delight. The new family Tricia and Angelica have created in Stoneham is far deeper and rewarding than her biological one, so it will be intriguing to see if the two can blend together into one that is just as healthy and redemptive. What never is in question is how much Tricia loves Stoneham’s Booktown, or how she uses her wit and humor to rise above it all. Victoria Trumbull may be ninety-two years old, but she’s not sitting at home waiting for something to happen. She’s apt to be out and about, making it happen. She’s got a boarder, a city boy named Zack. She thinks it’s good for him to get out in nature, and there’s no turning her down. During a nature hike where he thinks he’s helping her and she thinks she’s educating him, she points out trumpet of death mushrooms. They’re a delicacy and pricey to boot. She warns him not to pick them because they’re rare. He hears they’re dangerous. After all, trumpet of death, right? Zack’s been dating a young woman who everyone’s warned him against. She’s hot, so he doesn’t listen. Finally, it’s sinking in, she’s using him. She’s also rather free with her affections. He tries to break up with her, but that’s not going to happen—no one breaks up with her! When her body is found days later, Zack is at the top of the suspect list, and he sure doesn’t make things easier by blurting out incriminating facts—like she said she was pregnant and he brought her mushrooms. 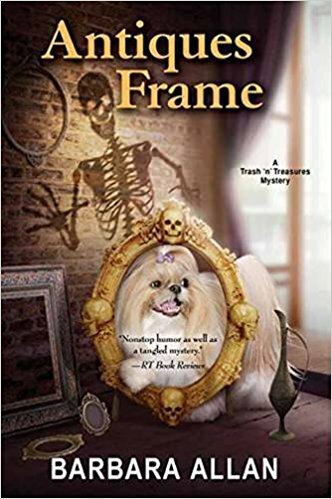 In spite of his less than stellar intellect, Victoria feels the need to both protect him from the girl’s father and exonerate him from a murder charge. The Martha’s Vineyard series is a delightful one in showing an older woman who is full of curiosity, life, and more energy than most people. She’s involved in the community, accepts help as needed, makes no pretense of fashion, and never hides her knowledge of the island, its inhabitants, and the fascinating history of the plants that grow there. 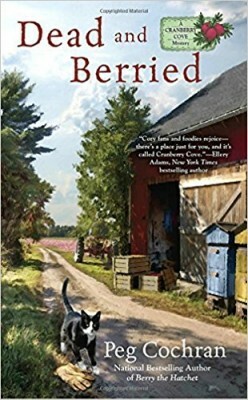 This is the thirteenth book in the Martha’s Vineyard series. Although readers like to see characters age, we can only hope that Victoria remains 92 forever, as she teaches readers that quality of life has no expiration date. Brandy Borne and her kooky mom, Vivian, have their own reality show. It’s not all autographs and close ups though. Every episode has a question and answer slot so Brandy or Vivian can identify some obscure object. To encourage audience participation, they also have one that stumps them, so they can ask for the viewers help. On the home front, things are rocky in Brandy’s relationship with Tony, her cop boyfriend. His ex-wife Camilla is in town and at every auction, outbidding Brandy and Vivian. She set up a shop of her own just a block away but never seems to sell anything. Her prices are way out of line, just like her bids. And, by the way, she never signed and filed the divorce papers. Instead of their scheduled storage locker auction, Vivian convinces their producer that a farm sale with tools would attract more male viewers. Surely, Camilla will be sweating it out at the storage site. But no, just as Brandy is bidding on an antique corn husker, Camilla shows up and outbids her once again. When Camilla offers an apology for her behavior and asks Brandy to drop by her shop, Brandy’s wary but goes in hopes of smoothing things over so her love life can get back on track. Finding Camilla’s body isn’t going to help her reach that goal, what with the likely murder weapon being the antique corn husker. With Brandy’s fingerprints on it from the auction. Since the last scene filmed was Brandy giving Camilla a (gentle?) shove and Camilla falling, it’s no wonder Brandy gets elected suspect number one in a list that could include a lot of people. Tony has to recuse himself, of course, as well as accompany her body back east. Brandy’s in the slammer and relying on the ever-creative Vivian to get her sprung. As always, Brandy ends up doing what her mother wants, it’s just easier that way. Still, wacky as Vivian’s ideas may be, she usually gets results. This is book eleven in the Trash ’n’ Treasures Mystery series. Things are moving along, bumpily, but moving, between Brandy and Tony. Vivian continues to collect odd friends in odd places, but they turn out to be useful in a pinch. Of course, Sushi, the once blind dog, is back and smitten with Rocky, Tony’s dog. Both are always helpful during a murder investigation. Considering Vivian’s bombshell at the end of the book (she’s forbidden me to tell what it is), the madness and mayhem will continue in book twelve. In the meantime, there are helpful hints at the end of each chapter with suggestions of how to handle collections and special finds. Cranberries have to be pollinated, and with bees dying, you just can’t rely on the local bees to take care of business. Instead, you hire someone like local beekeeper Rick Taylor and his assistant Lori Wenk to transport the bees to the cranberry bog, and let them do the work. Things are going pretty smoothly, except for Rick acting a little weird. Monica is in charge of the baked goods and negotiating with stores to carry her cranberry relish. Her half-brother Jeff is in charge of the bogs. He was injured in the service and constantly wants to prove he can do the work. Monica’s afraid he’s wearing himself out, but it’s because he’s worried that he hasn’t heard from his girlfriend who is out of town. When Lori’s body is found, she’s covered in bee stings. Why would someone allergic to bees take such a job? On the other hand, that many bee stings could do anybody in. However, it wasn’t the bees who killed Lori. Rick turns into Suspect Number One, and Monica is sure he didn’t do it. A little snooping never hurt anyone, right? Lori’s protective gear is found in various places around the farm, adding to the suspicion that Rick had a hand in her death. As far as motive goes, Rick’s not the only one who could have done it. It turns out, Lori was not the nice, quiet girl she appeared to be. Adding to the suspect list can only help Rick. Added stress comes from Rick’s wife. She works in the store at the farm and knows Rick wasn’t where he claimed to be during the time of the murder. This is the third book in the Cranberry Cove series. Monica is not one to put herself at risk but instead passes along any information she finds. There’s a potential romance for her in Greg, the owner of the bookstore. At first glance, he might look a little tame, but he has depth. The elderly twins who run the candy store are there too—one is in the hospital which causes great concern. And of course, no tale would be complete without Gina, Monica’s stepmother, Jeff’s mother. She’s eternally on the prowl for a new man in her life, is funny and good-hearted. Be prepared to be hungry for cranberries by the end of the book. Luckily, there are recipes. To enter to win a copy of all 4 books, simply email KRL at krlcontests@gmail[dot]com by replacing the [dot] with a period, and with the subject line “catch-up,” or comment on this article. A winner will be chosen July 1, 2017. U.S. residents only. If entering via email please include your mailing address, and if via comment please include your email address. What a wonderful selection of catch-up mysteries. I’d love to read them all! You site has so much awesome info! Thank you! I haven’t read any of these books yet, but would love to! Thank you for the chance! They sound great! Thanks for the reviews of all! I still need to catch up as well!Thanks for the chance to win! What a great list! Adding to my tbr list. No matter how much I read, it just keeps growing! I love it. All four of these sound great. Good reviews….and I’ve added these authors to my TBR list. These books sound so interesting. I want to read them! These all sound great. 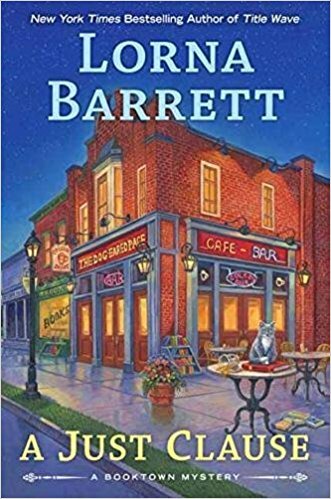 I especially love the Booktown mysteries! Each of these books sound terrific. I am familiar with these authors and they do not disappoint. Thanks for the opportunity. I would love to read all of these mysteries this summer! Thanks for a chance to win! Wonderful reads, thanks for the giveaways. What an amazing giveaway! Some new authors to me and I would enjoy reading all of them. Thanks for the chance.